This episode has now been re-released in both video and mp3 format to Members of johnlebon.com. The original video was hosted on a YouTube channel which has since been terminated by YouTube. 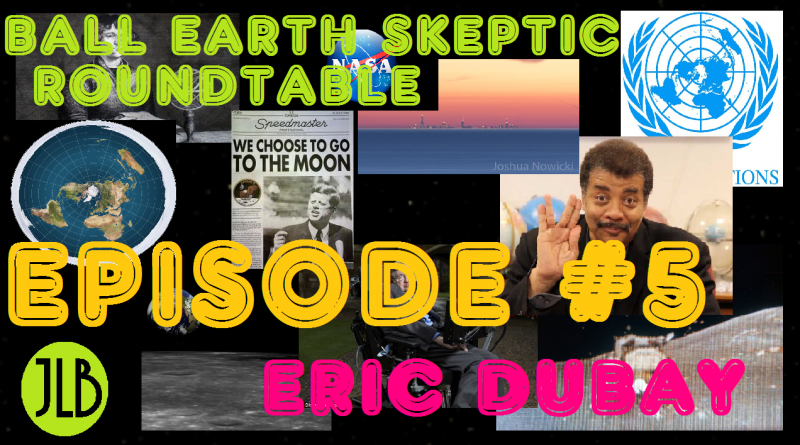 Join us for another installment of BESR, a live, roundtable discussion focused on ball earth skepticism and all related topics (such as NASA, scientism, and media fakery). The panel features David Weiss (DITRH), Ben (Matrix Decode) and host John le Bon. Special guest for Episode #5 is Eric Dubay, author of The Flat-Earth Conspiracy and president of the International Flat Earth Research Society (IFERS).